My best friend just had a birthday, and I wanted to get her something indulgent. She’s a big fragrance lover, so my first impulse was to buy her one of the new Nest fragrances, which are new at Sephora. Problem is, I hadn’t smelled any of them yet – and they weren’t yet available in-store in my area. Luckily for me, the Nest Eau de Parfum Coffret was just released for the holiday season, which contains a beautiful quarter-ounce glass bottle of each of the five Nest fragrances. Sure, it’s risky buying a perfume for someone other than yourself, but this coffret made it easy – I figured my friend would be able to find at least one she liked in the lineup, and worst case scenario, I knew those gorgeous bottles would look amazing sitting on top of her antique-style dresser. As soon as I laid eyes on the set, I was so enamored with it that I had to order a second Nest Eau de Parfum Coffret for myself. Each bottle has the same stunning artwork that appears on the full size renditions, and seeing all of the Nest fragrances lined up next to each other fills with me with sincere joy. 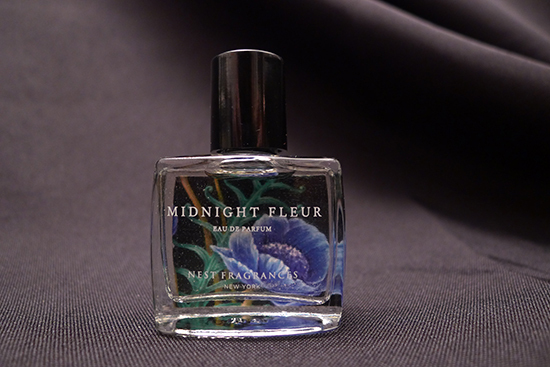 Midnight Fleur is a sultry Floriental. This is definitely a winter-appropriate fragrance – I can’t imagine wanting to wear this much amber on a hot summer day. It has a bright, jasmine top note that almost immediately gives way to a heart of vanilla orchid and wood. As the fragrance dries down, there’s a very strong amber note that takes over the scent. Apparently, there’s also some patchouli in there, but once this scent dries down, all I really notice is the amber. The top is a straight floral, but the fragrance becomes sweeter and heavier as it dries. The end result is a sweet, substantial amber that lasts for hours. I once put it on a few hours before bedtime and could still smell it on myself when I awoke the following day. 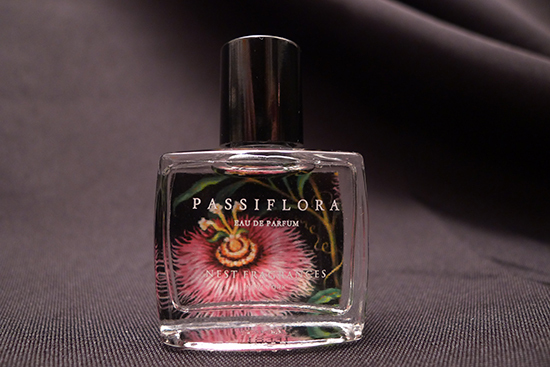 Passiflora is a green floral. This fragrance smells like spring and possibly summer to me, though I can see it easily becoming someone’s signature, year-round fragrance. It opens with a blend of ambiguously green topnotes – I can’t really pick out what the green is; I just know it reminds me of grass, and dewy green leaves. The heart is passion flower, which constantly smells like it could go sweet at any moment, but then pulls back before actually becoming a full-blown fruit note. This note sustains as the hyacinth and lily-of-the-valley notes become present. I couldn’t distinctly pick out either of those two flower notes, but the nature of the floral accord definitely changed as the scent dried down, pulling it even further away from that fruity edge. 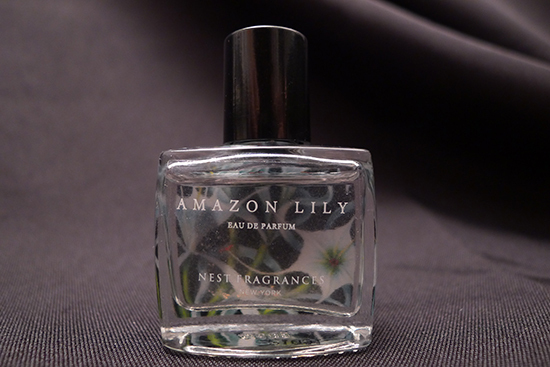 Amazon Lily is defined as a floral, but I’d personally argue that this scent is a fruity floral. This scent is easily my favorite in the set, but also the one that surprised me the most. With a name like “Amazon Lily,” I really expected a strong lily fragrance, something like DK Gold (which smells exactly like Easter). Instead, this perfume smells like a light, bright, citrus cushioned by a clean, almost-soapy, white musk. I found that there wasn’t much difference between the opening notes and the dry down, but the accord is complex enough that this fragrance is far from one-dimensional. The official description cites top notes of lime, bergamot, and tangerine, a heart note of lily, and base notes consisting of driftwood and white musk. Although this scent is citrusy, it’s not sweet, and there’s an almost herbal-quality to some of the citrus notes. I thought for sure I smelled some basil in there! I love it Amazon Lily, and will probably purchase this in a full size. Fans of Lily Pultizer’s Squeeze will love this too – Amazon Lily smells like Squeeze’s refined, more sophisticated cousin. 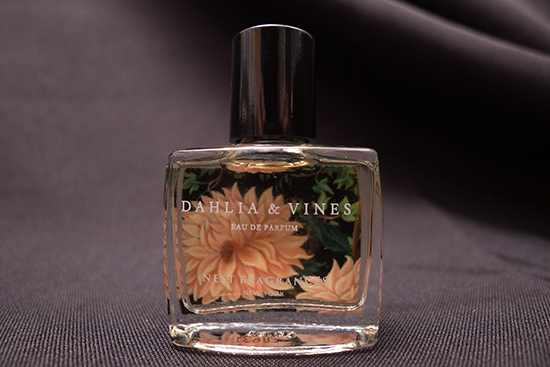 Dahlia & Vines is a clean, sharp floral scent that peony, narcissus, rose, white musk and grapes. I have a hard time distinctively making out the notes in this fragrance – it just smells like floral to me, but also vaguely sunny and yellow. 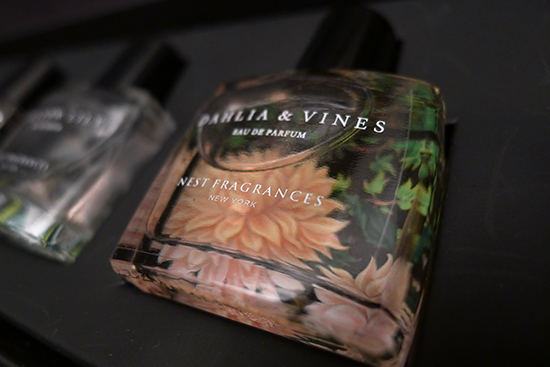 There is absolutely nothing sweet about Dahlia & Vines, so if you’re someone who likes your fragrances free of any hint of vanilla, amber, or fruit, this is definitely the fragrance for you. White Sandalwood is an oriental. This one was my second favorite fragrance in the set – it’s creamy, vaguely sweet, clean, and just a bit spicy. I’m not normally a huge fan of sandalwood – it tends to be a bit too musky and masculine for my taste. But this sandalwood is unique – there’s an almost soap-like quality about it that prevents it from every becoming to spicy or heavy. The fragrance features Australian sandalwood, white sandalwood, spices, white musk and almond notes. 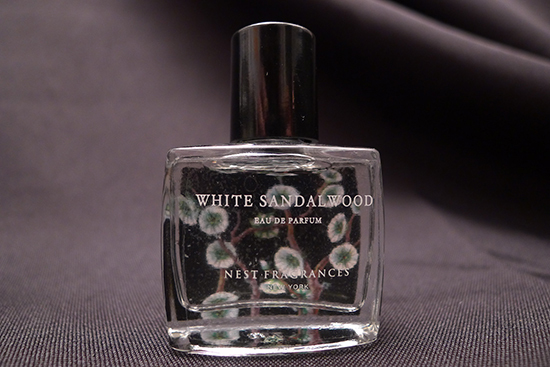 White Sandalwood actually reminds me a lot of another long-time winter favorite of mine, Hypnotic Poison. The almond note is very similar, but White Sandalwood is just a bit lighter and less sweet. I’ll be buying a full size bottle of this soon, and dousing myself in it all winter. 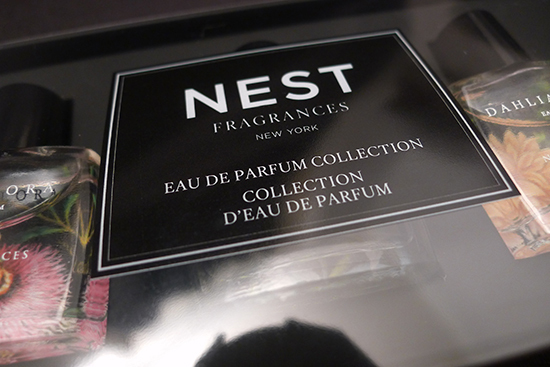 I absolutely love the Nest Eau de Parfum Coffret. 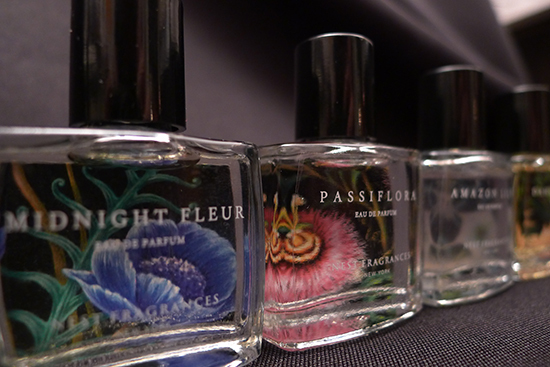 All of the fragrances have great lasting power and medium sillage. Those close to you will definitely be able to smell you, but you won’t be choking anyone out when you walk past them. 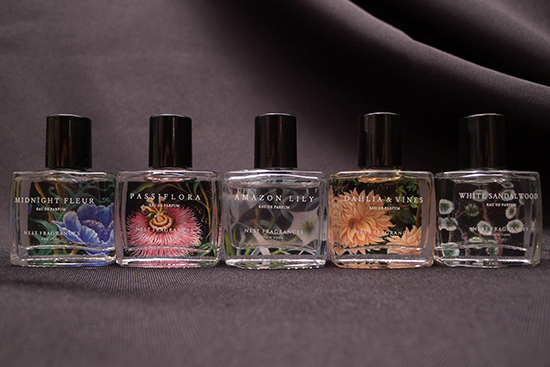 If I had to find fault with this set at all, it would be that these bottles are dabbers – I personally prefer a spray. I think this coffret an amazing gift for yourself or a friend – there’s bound to be at least one fragrance in the set that you or your lucky gift recipient will fall in love with. It’s also a great value – full size bottles of Nest perfumes go for $65 for 1.7 oz. This set contains a total of 1.25 oz. for $38. 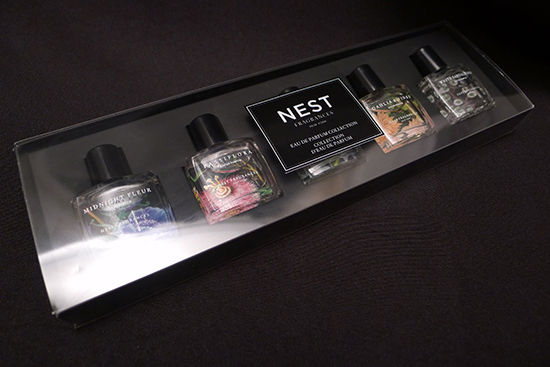 Value: 5/5 – Full size bottles of Nest perfumes go for $65 for 1.7 oz. This set contains a total of 1.25 oz. for $38. The Nest Coffret is a Sephora exclusive, where it retails for $38. I ordered mine from the Sephora website, but it’s also available in store. Lol are we twins! I got this too! I’ll be reviewing it soon! Glad you liked all the fragrances. I only liked 3/5. But it’s still a very lovely set. I’m thinking of giving them as gifts too! I’m totally up for trying new perfumes, and this set just looks so pretty! !-and so tempting to get. 🙁 I already have so many things on my wishlist. It’s too bad that they aren’t spray, cause then I would totally buy this set. The full size ones are spray though…right? The fragrances last ALL day. 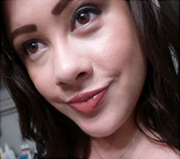 I put mine on at 6:30 a.m. and by 4:30 p.m, it is still going strong, with out having to reapply. Did I mention that I live in the tropics, where extreme heat, humidity and sweating are constants? Great value for money. If they ever put out a second collection with the other fragrances, I will be first in line to buy it.